The US Cover of "Glass Houses"
Okay, so "Glass Houses" is one of my personal favourites. It begins with the ever-present factor of every teenagers life; the bullies. Often in the form of popular, pretty girls with a vengeance or need to hurt those weaker--and that's where Monica and her "followers" came into it. We learn more about Monica later in the series as to why she is so, well, her. So, Claire *spoiler* gets "beat up" by them. This makes her utterly hate living in her dormitory and she looks to be re-housed. She finds this in the "Glass House". 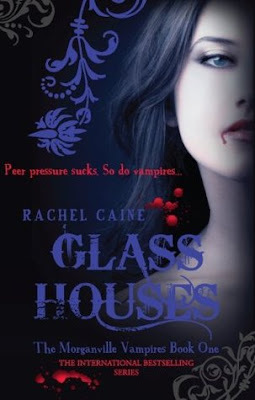 Yes, I know what you were all thinking when you first saw the title; a glass house--like a house made out of glass?! But no, that was the owners name; Michael Glass. His roommates were, the "beautiful goth" Eve Rosser, and the "handsome misfit" Shane Collins. At the beginning, there wasn't much to describe Michael other than "ghostly"..and you'll find out why. Claire begins to see herself fitting into the Glass House--on a temporary basis, that is. She was a few years their junior and Michael insisted that she only stay there for a little while. But I knew that as soon as they all blended together and let a couple hearts flutter (Michael & Claire...no...Shane & Claire...yes) they would all be kind-of happy. That's where the Vampires came into it. 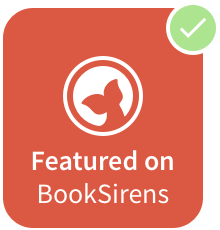 Claire didn't know about the Vampires right away, not until I think it was Eve who told her. This doesn't make Claire frightened, as such. Possibly a bit "spooked" that she didn't know, but not so much that she would leave her new friends, because I think she made this sort-of instant connection with them all that I didn't really notice until I reflected back on the book itself. There is drama that follows, laughable commentary from jokers Michael & Shane, and the blood mobile?! I mean, like an ice-cream van for Vampires? That's..weird and amazing at the same time! I thoroughly adored Glass Houses, then went on to love, love, love the rest of the series, and I've read each and every one of them. 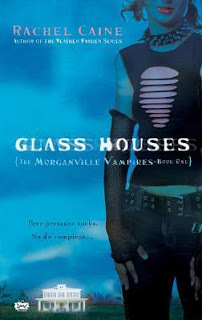 You will want to re-read them over and over just to relive that insane, crazy-beautiful town they call Morganville. "Fall Of Night" will be released on May 2, 2013. (UK) Pre-order here.